Between Rounds is a bakery café and bagel shop franchise that offers a wide range of menu items for all day parts and operates out of a Fast Casual dining environment while keeping a neighborhood/independent feel. The menu consists of baked-on site bagels and baked goods as well sandwiches, wraps, salads, soups, specialty coffees, and a unique line of giftware. Between Rounds was founded in 1990 as The Bagel Stop, and in 1993 the name changed to Between Rounds to reflect our wide variety of menu offerings. 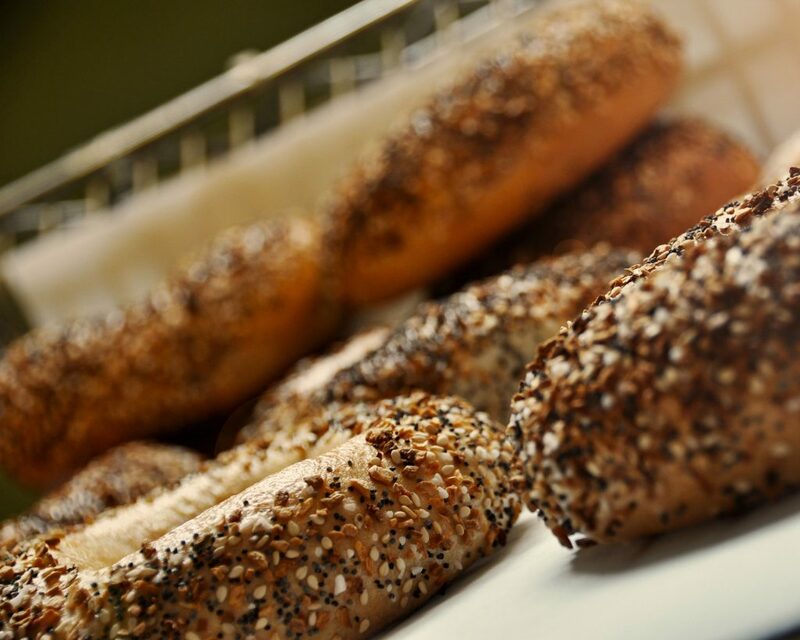 From our beginnings as a local bagel store business, and to this day, all of our bagels are freshly made from scratch in our own manufacturing facility and delivered to each store to be baked on site. This commitment to quality in our products is what keeps our customers loyal and coming back to us rather than go to the competition. Our founders, Jerry and Joe Puiia, continue to operate the business today and are committed to helping our franchise partners operate a successful Between Rounds Bakery Sandwich Café in their community. If you’re interested in a investing in a fast casual restaurant opportunity with flexibility and growth potential, we’d be honored to make you a permanent part of the Between Rounds story.